I make roast beef several different ways and this is just one of them. 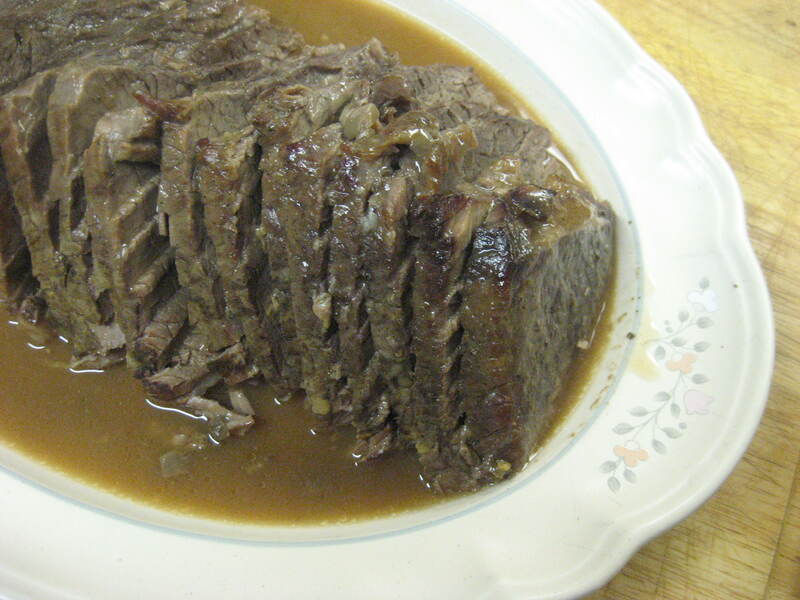 This, to me, is the ultimate comfort roast beef which is simple to make and delicious to eat. And I do something special with the leftovers I will share with you in another post. This is a cross between a roast beef and a pot roast. It’s slow cooked and tender like a pot roast, but instead of reaching that point where it falls apart when you take it out of the oven, this method keeps it able to slice but still super tender. And I will warn you now, it uses condensed cream of mushroom soup. Don’t turn your nose up, believe me it adds to this dish and it makes a perfect gravy for the final dish. Begin by taking your roast (I used a bottom round roast) and placing it inside a large size roasting bag placed in baking dish. Season the roast with salt and pepper. 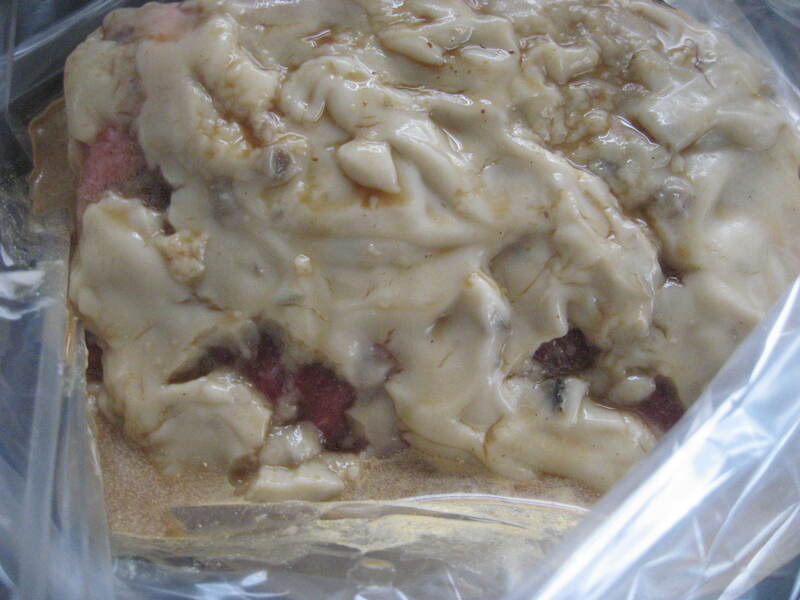 Take 1 can of cream of mushroom soup and spread it all over the outside of the roast. 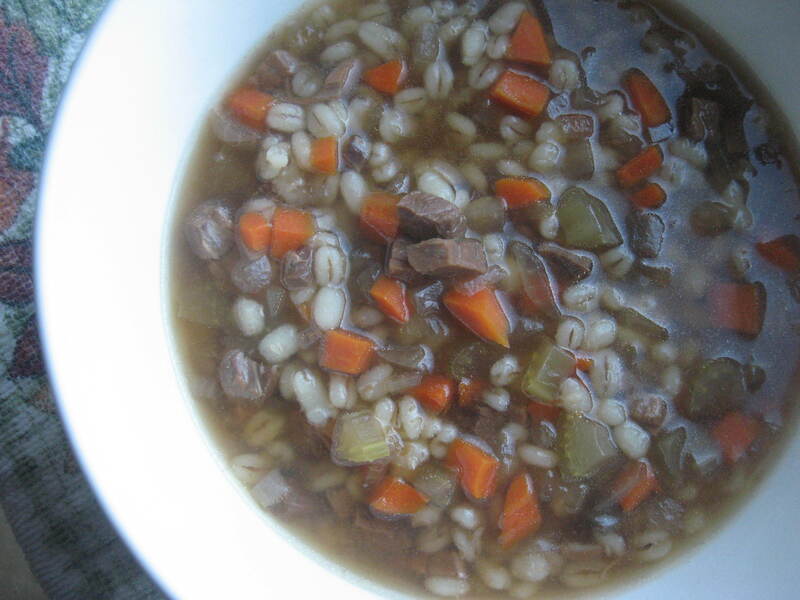 Mix up 3/4 cup of cold water with 1 packet of brown gravy mix until well combined. Pour over and around the roast. 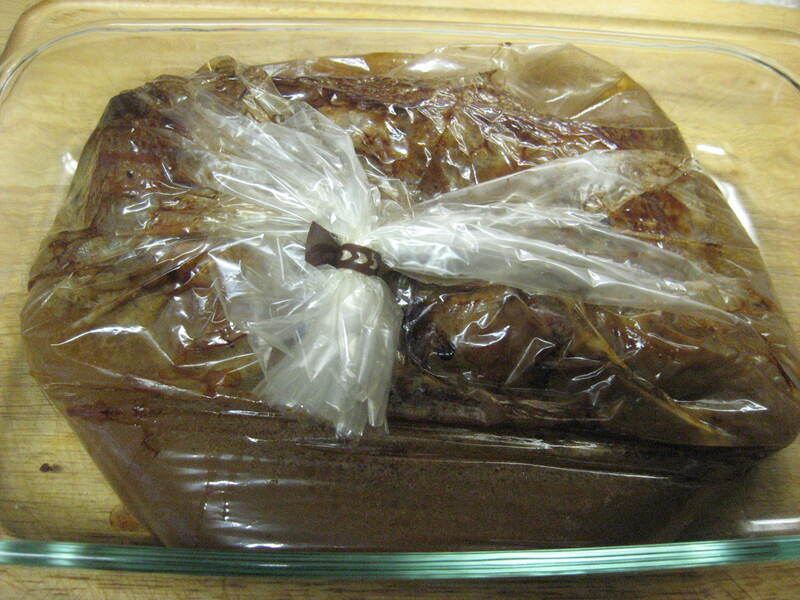 Seal up the bag and place in a 275 degree oven on the middle rack and allow to roast for 3 1/2 hours. Once done, remove from oven and allow to sit for about 10 minutes. Open bag, remove roast to a cutting board and pour the gravy into a serving bowl. Slice against the grain and serve. 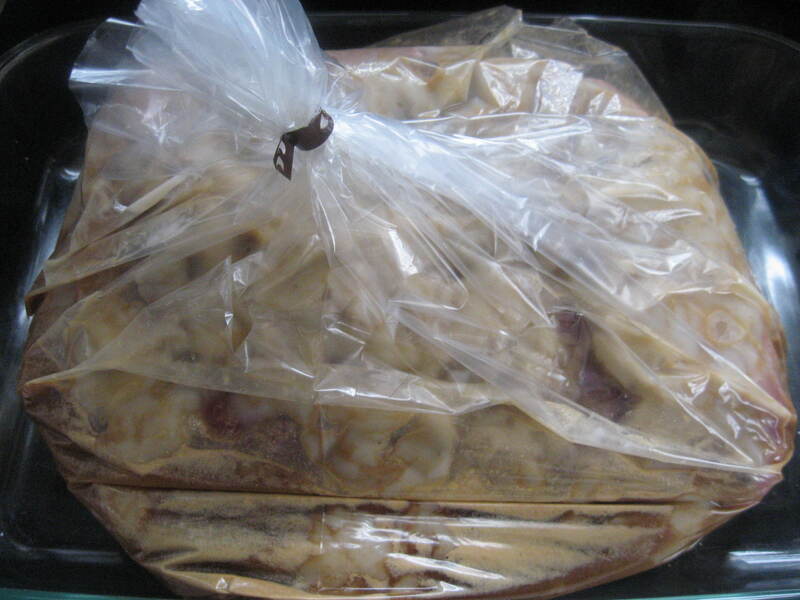 Place a large roasting bag into a baking dish. Add the roast and season with salt and pepper. Spread an entire can of cream of mushroom soup on top and sides of roast. 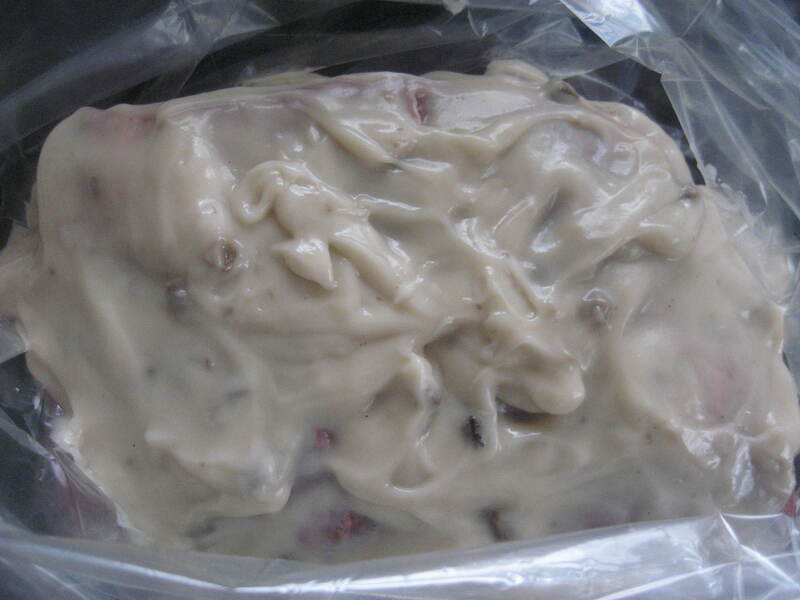 Mix 3/4 cup cold water with the packet of brown gravy mix until well combined. Pour over and around roast in the bag. Seal the bag with the twist tie provided in the box of bags, cut 2 or 3 slits for venting in the top of the bag. Place in oven on middle rack and allow to cook for 3 1/2 hours. Remove roast from oven and allow to sit in bag for 10 minutes. 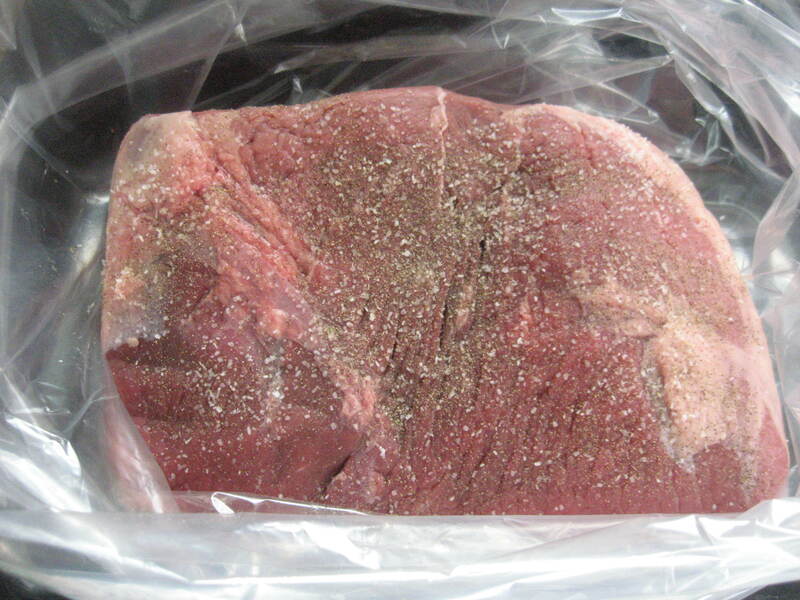 Remove roast from bag, slice against the grain on a cutting board and serve with the gravy from the bag.